It will be a daily drive with the odd trackday..
Megane will be 2011-2012 -v- the Golf a 2008-2009. I have said the Megane is the better car (chassis ect..) but the Golf is put together better. I would go for the Golf. Haven't driven either of them, the Golf just looks better and is available with DSG. It would have to be a 3 door though. 5 door hatchbacks are ugly. Really well put together, he's not had a problem with it in the 18months he's had his. Interior isn't a bad place to be either, no rattles. If it was my money, i'd get the Megane. Golf, maybe look at the r32 and the s3 too. A megane is a poor comparison. I'd go for the RS250, with it being the more enjoyable hot hatch. If upping the budget to around £18k is possible, I'd give the Focus RS a serious look. More power/exclusive then the other 2, and it'll hold on to its value better. I think Â£15k is his max budget..
S3 and Focus RS, not thought of them. I will let him know. It may have a dashboard that's not as squishy, but the Renault will be a better drive than either of those two. For track days it would have to be the Megane, but for everything else the Golf. Tough decision! 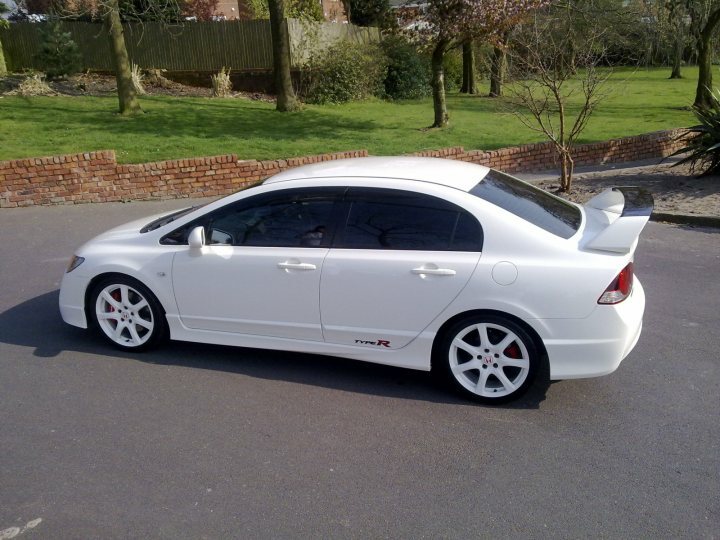 I have a Megane RS250, a cracking car. It's faster than the golf, better looking, newer at your price and much rarer IMO. Did you find the Megane tiring or noisy for a couple of hours then? Was it really that different from the Golf? I have the previous gen R26 Megane, it is really good for long distances and I would expect the new RS250 to be even better. Put it this way even with the R26-R titanium exhaust it is quieter and more comfortable than my friends 335i. I'm a big fan of the golfs but if track work is involved it has to be the Megane. What about a mk5 edition 30? Can be picked up for 10-11k and mapped to 300bhp very easily. Worth considering. If he doesn't need four seats I'd struggle not to look at Boxsters, and if he does M3s... Or get an older Golf and use the spare on R400 rental with Bookatrack. He will need the rear seats or I would be saying R26.R or Boxster S.
M3 - Nice but running cost maybe a little high! Out the two mentioned I would go for the Meg in Cup spec so its got the LSD. They are not exactly hard to live with for day to day duties either, it isnt an Atom! For the odd track day I'd probably go for the RS. I've got one (265 Cup) and it's amazing when pressing on Don't automatically assume the Golf is better built or feels nicer inside, the RS interior feels more upmarket compared to fairly recent Ford/Vauxhall offerings and on par with some german cars I've sat in, if a tad plain (like said german cars ). Only downside really is the ride is firm, especially on the Cup (which your friend will want for the LSD for the trackdays), small price to pay though IMO.